Since anytime is a good time to honor Dolly Parton (and Dolly Parton songs), we thought we’d take the opportunity to take a look at some of our favorites. Of course, everyone knows her as an utterly brilliant songwriter. She grabbed that mantle early in her career with the absolutely amazing “Jolene.” And again with “I Will Always Love You.” And again with just about every other Dolly Parton song. But what people may not realize is that she’s also a fantastic interpreter of other people’s songs. To share the wealth, we thought instead we’d take a look at five of those times she converted others’ hits into Dolly Parton songs. “Stairway to Heaven” has a reputation as one of the world’s most covered songs. (Especially by random dudes in Guitar Centers.) But honestly, you only need one version of “Stairway to Heaven,” and it’s not Led Zeppelin’s. Dolly covered this for her 2002 Halos and Horns bluegrass album. She also added a few new lyrics — with Plant and Page’s blessing. “In the Ghetto” was written by Mac Davis but made famous by Elvis Presley (and, uh, Cartman). But where Presley’s version is maudlin and, let’s be honest here, ridiculous, Dolly Parton does the song justice. Her voice combined with the less-bombastic arrangement brings out the pathos of the Chicago ghetto. You hear her heart breaking on the final verse. 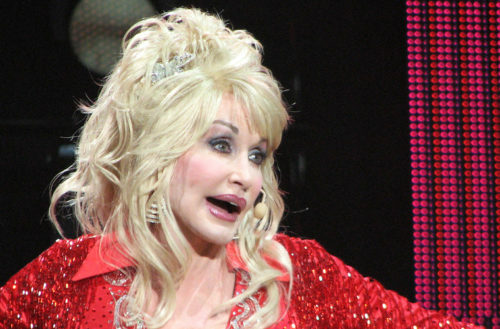 “In the Ghetto” may have revived Presley’s career, but Dolly owns it. 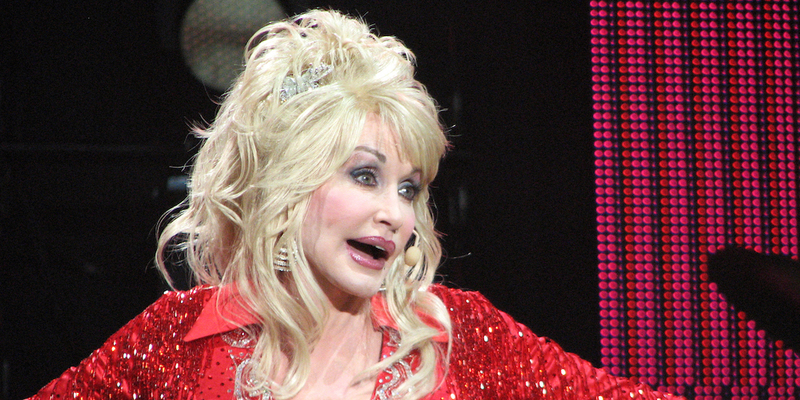 From her 2007 album Backwoods Barbie, Dolly chose another unexpected song to cover. Her version of the Fine Young Cannibals’ 1989 hit “She Drives Me Crazy” is surprisingly faithful. Dolly keeps the driving drums and power chords. Of course, the synthesizers have been swapped out for fiddles and mandolins, but that’s just how things are done in Dollywood. And we couldn’t be more pleased. If that weren’t enough, Backwoods Barbie also features a great cover of Smokey Robinson’s “The Tracks of My Tears.” We would have put it on this list, but she’s got 52 solo albums — and that doesn’t even count her duet albums! Let’s spread the love a little! “Islands in the Stream” was a huge hit, but most people don’t realize it was a cover. The song was originally by the Bee Gees, though they only released their version in 2001. Barry and Maurice Gibb also played on and arranged the Kenny and Dolly version. And if that weren’t enough, she even can play the song backwards in a feat that must be seen to be believed!